A Leading Manufacturer of Evacuation Equipment | Evacusafe UK Ltd.
As well as class leading evacuation equipment, Evacusafe offers additional services such as: FREE site evacuation assessments, industry certified training courses, equipment rental and product servicing. See what The Equality Act 2010 says about your legal obligations. 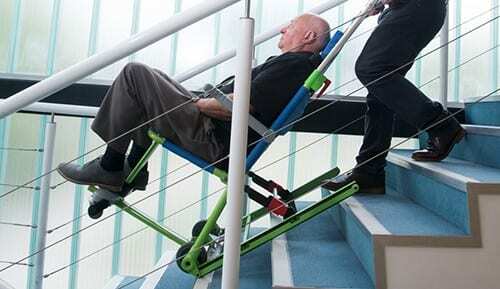 Designed to assist mobility impaired people in the event of an emergency evacuation. Ideal for stairway evacuation, either up or down stairs. Extremely versatile for optimum manoeuvrability. One-step setup for fast deployment & ease of use. Why wait 2-3 weeks for delivery when we can deliver next day? Transit chairs are primarily used to transport persons across level surfaces to a place of safety. Evacusafe Transit Chairs are a modern version of Patient Transport Chairs used by Hospitals and Ambulance services, they can be used to carry patients up or down the stairs. 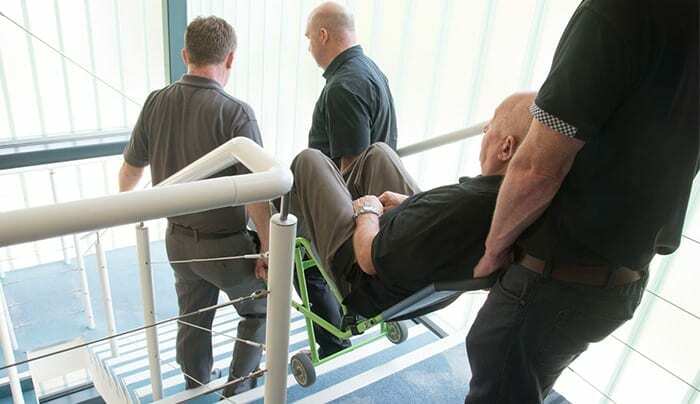 A fantastic tool that takes the hard work out of transporting a wheelchair user up and down the stairs. Powered Stair Climbers do the hard work for you. Extremely safe, efficient and convenient. Evacusafe offers a range to suit different requirements and situations. Once you’ve purchased your evacuation equipment you’ll want to learn how to use it safely and correctly. It’s imperative that you receive professional training. We offer on-site and online training courses which are fully approved by RoSPA and the IIRSM. On completion each candidate receives a certificate. 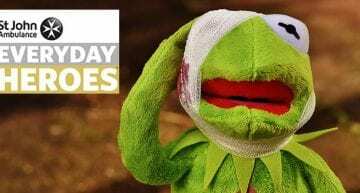 The Provision of Work and Equipment Regulations requires all businesses to maintain all safety equipment that may be used by its employees. Our specialist engineers can ensure your evacuation equipment is in full working order, ready to be deployed and used, and compliant with the law. 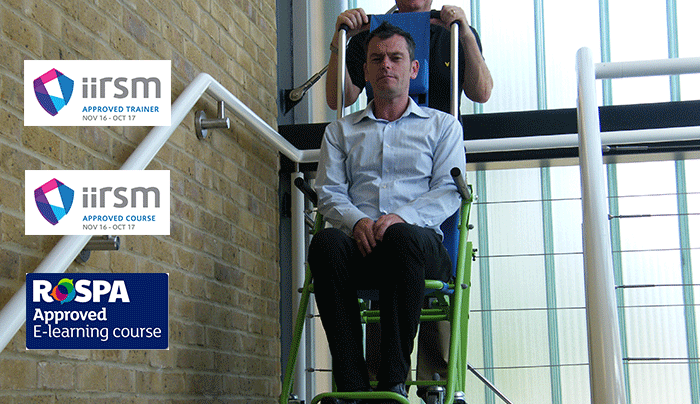 We can have a rental evacuation chair to you within just 48 hours. Rentals are available for commercial and domestic use and for any period of time that you require. 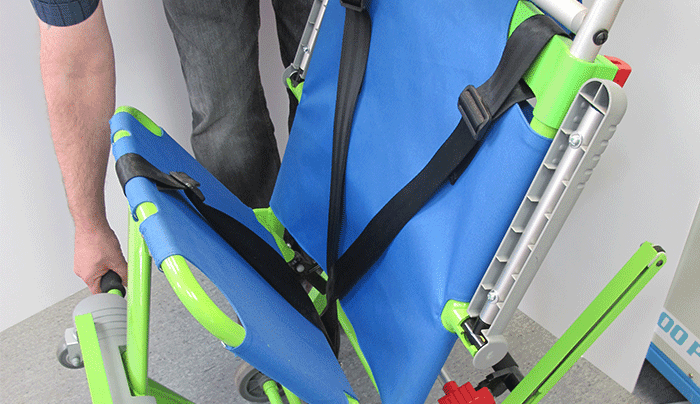 All evacuation chairs are supplied with a protective cover and user manual – ready for immediate use. Specifically designed for moving people and goods. 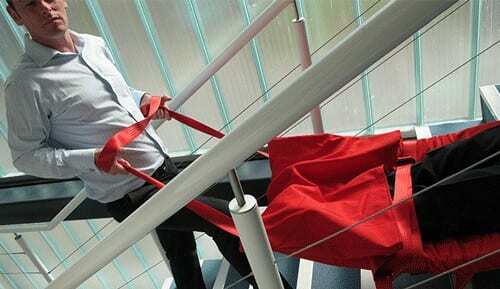 Baby carriers, hospital grade patient solutions as well as options for potential social care and care home use, to assist with all types of manual handling. Move people with ease and minimising potential injuries caused by bad manual handling. 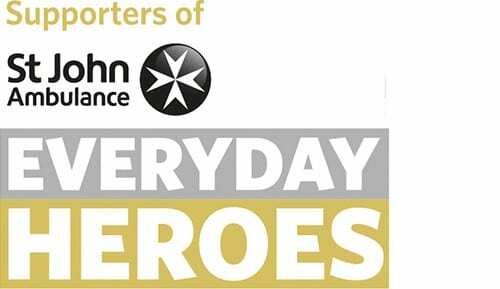 Evacusafe are proud supporters of St John Ambulance’s EVERYDAY HEROES Awards. The awards recognise and celebrate the actions of some inspiring individuals, workplaces and communities which have resulted in more people being alive today. Those who step forward when it matters most. Our evacuation equipment is installed and trusted by some of the world’s biggest organisations and can be found in hospitals, care homes, schools, government buildings, shopping centres and hotels. In fact, any type of building with upper floors, including the world’s tallest building, the Burj Khalifa Tower in Dubai! Evacusafe’s Tracked Evacuation Chairs are designed to enable the safe and comfortable evacuation of mobility impaired people in the event of an emergency. We are a leading manufacturer of high quality, CE Certified, specialised evacuation chairs and equipment. 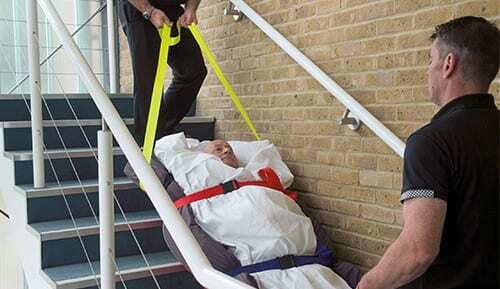 Our products are designed to aid mobility impaired people who require assistance when evacuating a building. We provide solutions for businesses and organisations that need to be compliant with current Health and Safety Legislation and the Equalities Act. 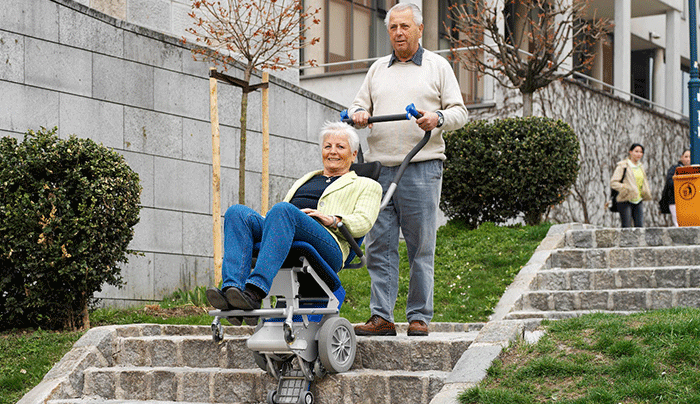 We provide innovative evacuation solutions for the mobility impaired. 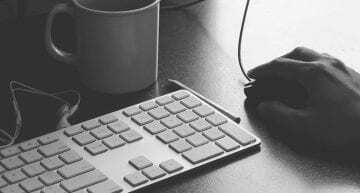 Our professional team will advise you which equipment best suits your business, for both practically and cost-effectiveness.